Use with Part Number 01806004-1 plain range hood moulding with matching profile to create returns. 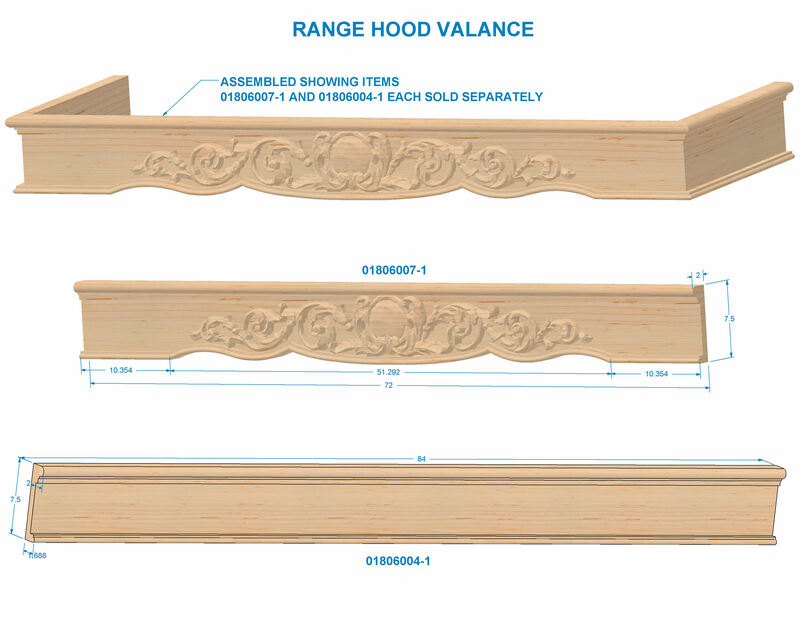 Use the Hand Carved Acanthus Valance to add ornate and refined detail to hoods and ranges, windows, cabinetry and more. The Hand Carved Acanthus Valance is available in Cherry and Hard Maple, and is part of our Acanthus Collection. Can be trimmed up to 10.5" on each side.